As you may know, the PDD Review Panel undertook an engagement this fall and winter. The panel received thoughtful input from Albertans across the province, including self-advocates, individuals receiving PDD services, family members, service providers, advocacy groups and community disability workers and other interested Albertans. The panel is currently reviewing and analyzing all of the feedback and submissions that were received. Once that is completed, they will provide an initial report to the Minister of Community and Social Services on what they heard during the engagement period. The panel will then submit a final report to the Minister that includes specific and actionable recommendations. Stay tuned for further updates as the panel’s work continues. Brief overviews of the results of engagement sessions for the Persons with Developmental Disabilities (PDD) review. Each report includes information on the number of participants and key themes or issues heard by the appointed review panel during each session. Please take a minute and review Alberta Council of Disability Services (ACDS) Submission to Persons with Developmental Disabilities (PDD) Program Review Panel Dec 2018. This submission is an excellent and thorough overview of key points for consideration. ALIGN Association encourage any FSCD members to also send in a submission if you are able to do so. Rhonda Barraclough, ALIGN E.D. will be contacting Andrea Hesse the CEO from ACDS to consider jointly meeting with the advocate to discuss the services to people with disabilities and service providers. This PDD Program Review Discussion Guide Fall 2018 is being used to assist in developing input to the panel. As you may be aware, the Minister of Community and Social Services has appointed a community-led panel to oversee the review of the Persons with Development Disabilities (PDD) program. The review panel will be seeking input from Albertans with developmental disabilities, their families and guardians and others involved in supporting their participation in the community about how PDD can support the personal choices, independence, priorities and needs of those who receive services through PDD. · engagement with the disability community (i.e. individuals, families, guardians, service providers and workforce) at both the system and individual levels to provide clarity of purpose and outcomes. In addition to a series of Community Conversation sessions being held throughout the province, there will be opportunities for organizations such as yours to make presentations to the PDD program review panel. Presenters can expect to have 30 minutes to share information with the review panel and 15 minutes for questions and answers. Please confirm your interest by Friday, November 16, 2018. You will then be advised of the specific time allotted for your presentation. Community engagement tool kits are being shared with other community organizations that will have the option of hosting their own facilitated discussions to gather and share feedback for the PDD review panel. To learn more about the review panel members and the various ways of providing input to the review panel, please visit alberta.ca/pddreview. FSCD Action Plan – In response to the concerns raised by parents about the FSCD program the Ministry of Community and Support Services (CSS) have changed our Specialized Services policy, Family Centred Supports and Services policy, FSCD Program Outcomes Policy and Overarching Policies and Considerations Policy to confirm that direct services to children are supported and parent involvement is not required in the delivery of specialized services. 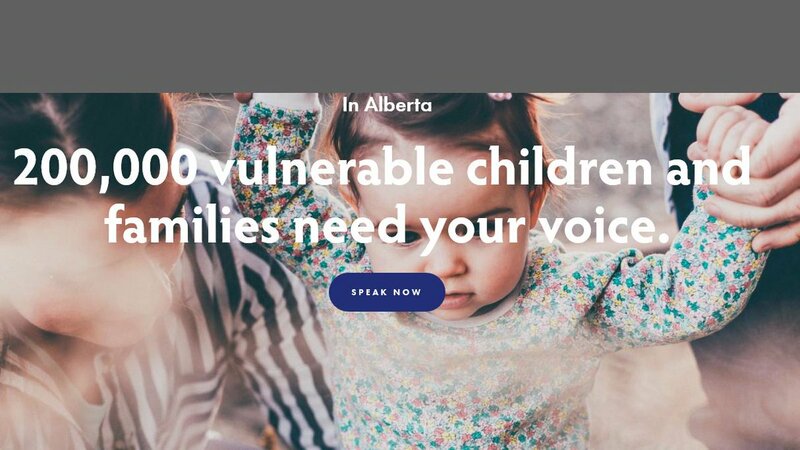 In May 2018, Family Support for Children with Disabilities (FSCD) listening sessions were held in Edmonton and Calgary. This fall FSCD is hosting additional listening sessions to hear from you if what they heard in May is reflective of family’s concerns about FSCD specialized services; about the changes made in response; about communication between FSCD, parents and service providers; and how the FSCD Multi-disciplinary Team (MDT) process can be more supportive to parents. If you were not aware of the May listening sessions or the changes made in FSCD, please visit the FSCD website at http://www.humanservices.alberta.ca/disability-services/15655.html. Here you will find a copy of the ‘What we Heard’ report as well as ‘tip sheets’ that provide updated and clarified information about FSCD specialized services. The ‘What we Heard’ report highlights the concerns parents raised and the government’s commitment to changes. You can also contact your FSCD worker or your regional office for more information about the policy updates and the practice shifts being made. Below are the upcoming FSCD listening sessions across the province. Parents, service providers and others are welcome to register to attend a session. Each listening session is limited to 50 participants due to space and the desire to have small group discussions where FSCD can hear from you. You can register to attend a listening session online through Eventbrite at https://fscdlisteningsessions.eventbrite.ca. If you are a parent and require assistance with costs for your attendance such as travel, parking, and respite there will be assistance with these costs through your FSCD Agreement or reimbursement. You are welcome to bring your child with you however, there will not be onsite childcare. If you are unable to attend one of the listening sessions, but want to comment on the “What we Heard Report”, the changes made, ways to improve communication and how the FSCD Multi-disciplinary Team (MDT) process can be more supportive to families, you can provide your input by email to FSCDparents@gov.ab.ca. Alternatively, you can also go to the Listening Sessions Webpage https://www.alberta.ca/fscd-listening-sessions.aspx to provide feedback. While the listening sessions will be focused on specific discussions as noted above, you are welcome to email FSCDparents@gov.ab.ca with any other concerns or comments you may have or to contact the Executive Director for Disability Services, Roxanne Gerbrandt at roxanne.gerbrandt@gov.ab.ca.